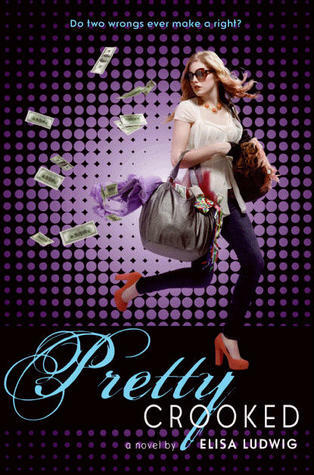 The cover reveal for Pretty Crooked was way back in early July last summer. I was immediately drawn to it and asked Elisa for an interview about the art and design. To read that interview, jump HERE. Doesn't this look and sound like a movie or something from ABC Family? Love the Robin Hood*ish premise where a girl gives back to the poor. I think it will be interesting to see how she can balance being friends (maybe?) and then stealing from them. I think I can picture the final showdown now... This one shot to the top of my TBR list! You can find Elisa Ludwig at her website.